Dec. 13, 2012—A new study led by Vanderbilt University Medical Center investigators found that obese patients undergoing surgery for lung cancer spent more time in the operating room, adding to the nation’s health care bill. Dec. 13, 2012—A rare genetic variant that occurs more commonly in families of patients with atrial fibrillation (AF) may be a key to better understanding this common and potentially life threatening condition, Vanderbilt University researchers reported this week. Dec. 13, 2012—Cardiologist Rob Hood, M.D., assistant professor of Medicine and assistant chief medical officer for the clinics at Vanderbilt Health One Hundred Oaks, has been named associate chief medical officer for Vanderbilt Medical Group. Dec. 13, 2012—As the number of influenza cases increases throughout Middle Tennessee, the Department of Infection Control and Prevention and the Occupational Health Clinic (OHC) are urging all faculty and staff to get an influenza vaccination. Dec. 13, 2012—The School of Nursing held its December Pinning Ceremony last week at Benton Chapel to celebrate the completion of specialty coursework for more than 20 students. Dec. 13, 2012—Vanderbilt University Medical Center was well represented in Zurich, Switzerland, at the fourth International Consensus Conference on Concussion in Sport, which assembled the world’s leading concussion medical experts and athletic governing bodies to discuss concussion care and policy. Dec. 13, 2012—Tyler Reimschisel, M.D., has been named director of the Vanderbilt LEND Training Program, effective Jan. 1, 2013. He is succeeding current LEND director Terri Urbano, Ph.D., MPH, R.N., professor of Clinical Pediatrics, who is retiring. Dec. 13, 2012—Lynne Maquat, Ph.D., of the University of Rochester, spoke about mRNA decay and disease during her recent Flexner Discovery Lecture. Dec. 13, 2012—The Allstate Foundation presented a check for $72,400 to the Monroe Carell Jr. Children’s Hospital at Vanderbilt Tuesday to support “Be in the Zone,” the hospital’s teen motor vehicle safety program.  Dec. 13, 2012—Nominations are being sought for the 2013 VUMC Academic Enterprise Faculty Awards in Teaching (School of Medicine) and Research (School of Medicine and School of Nursing). Dec. 13, 2012—Jeff Balser, M.D., Ph.D., left, discusses Vanderbilt’s drug discovery program during a congressional briefing Nov. 29 in Washington, D.C.